Atop the Gaudi apartment house La Pedrera, or "the quarry," was made fun of when it was finished in the early 1900s because of its unusual shape. 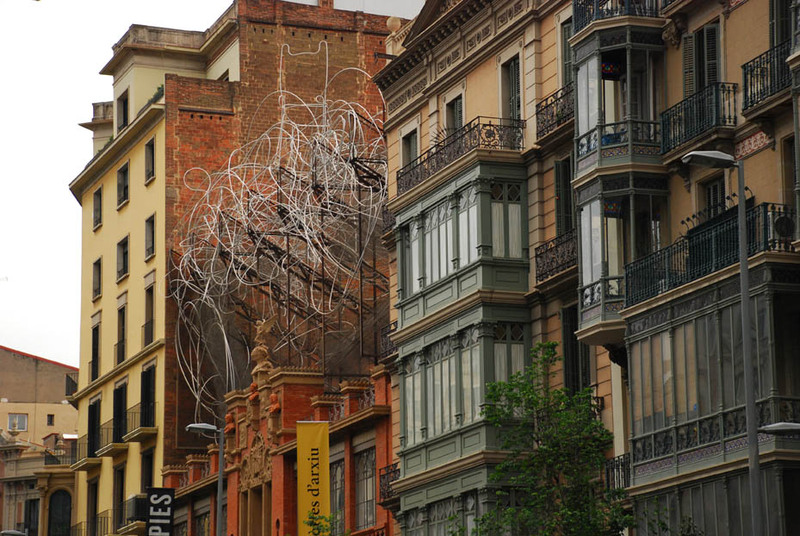 A movement swept through this city in the period between 1890 and 1920 and it resulted in dozens of incredible structures being erected all throughout this most unique European city. 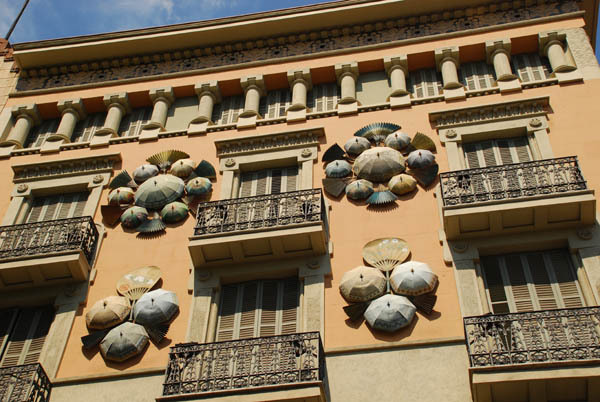 To wander the streets of Barcelona is to be stunned again and again by incredible feats of artistry in brick, mortar, stone and iron. 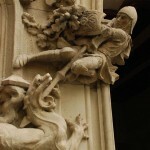 Here are just a few images of what we’ve enjoyed the last couple of days. 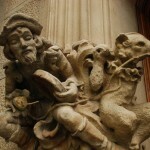 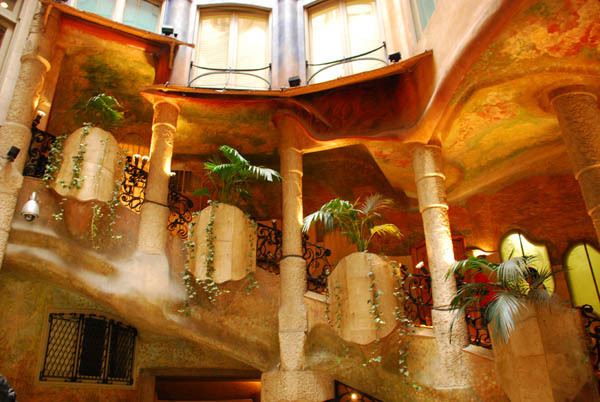 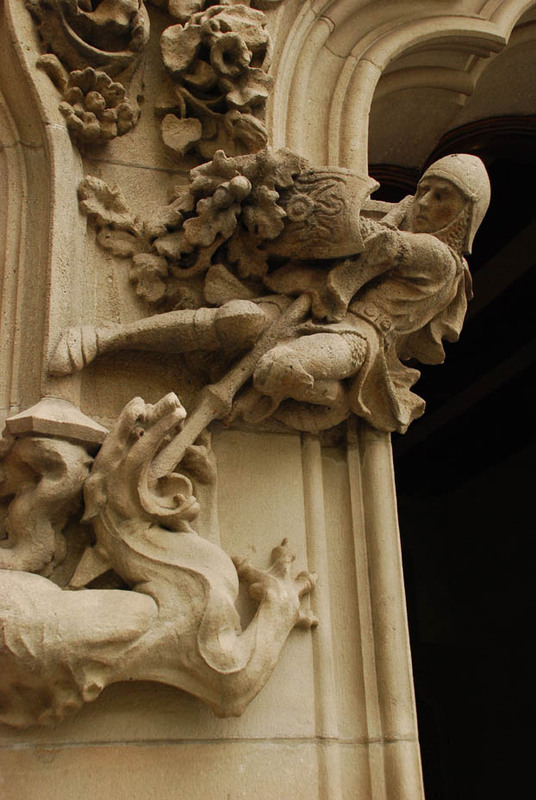 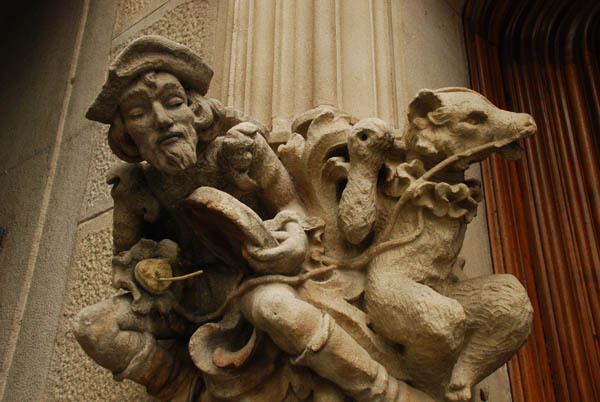 St. Georg, the patron saint of Catalonia, slays the dragon at the house known as Casa Amatller. 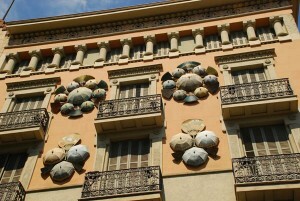 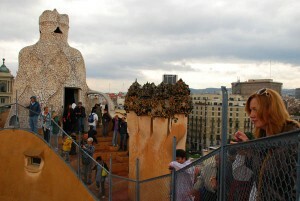 Posted in Europe Tours, Spain Tours and tagged barcelona, la pedrada, palau.